The Cookbook is here! The Cookbook is here! 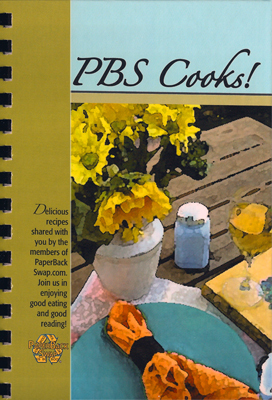 Yes, the PBS Cookbook is shipping! If you moved since you ordered the Cookbook make sure your account address is updated on your account. And now we can reveal the surprise extra in the Cookbook: In addition to all the great member recipes, there is a special collection of recipes submitted to us by some of PBS’ favorite authors, including Angela Hunt, Barbara Delinsky, Bertrice Small, Beverly Lewis, Carla Neggers, Charles David, Christopher Moore, Dave Barry, David Anthony, Diana Gabaldon, Elmer Kelton, Joy Nash, Judith Tarr, Julie Garwood, Karen Dinino, Ken Follett, Laura Fitzgerald, Linda Rosencrance, Linda Woods, Lisa See, Lisa Shearin, Margaret Atwood, Margaret Weis, Mindy Klasky, Philippa Gregory and Rob Palmer! We are grateful to these authors who agreed to contribute recipes. Get your copy in the Kiosk before they’re sold out! Also check out the newly added package openers: These handy-dandy items (one shown below) are just the thing you need to get that well-wrapped PBS package open without damaging the book inside. FREE Delivery Confirmation. Don’t forget that if you have never used PBS-DC before, you have 3 free trials of the feature until October 24, 2009! The 19-cent USPS e-DC fee still applies (you pay that with extra postage applied to the package) but the 27-cent PBS fee is waived for three separate shipments if you want to try this out. PBS Delivery Confirmation comes with Quick Credit -which means that you don’t have to wait for the package to be received to get credit. To try this out, choose “Print with Delivery Confirmation alone” (the middle option on the Wrapper Settings page) and your wrapper will print out with a DC barcode. You can read more about PBS-DC here, in the Help Center. 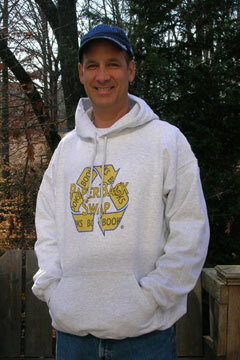 Please note that Printable Postage is not included in this offer –it’s just for PBS-DC.